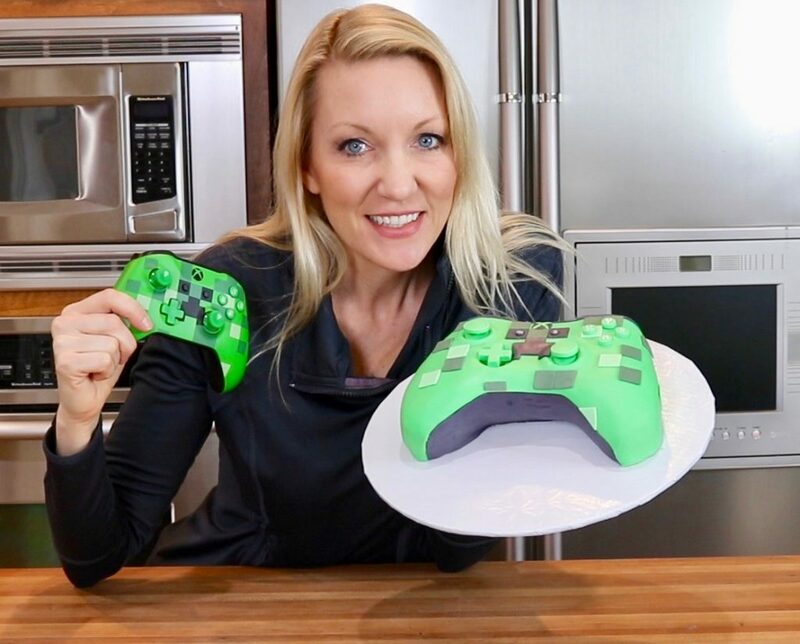 Learn how to make your own Minecraft themed XBOX controller cake! My Swiss Meringue Buttercream is smooth and silky and not too sweet. Place the egg whites and sugar in a mixing bowl and place it over a pot filled with about 2 inches of of simmering water. Whisk frequently until it registers to 160 degrees. Transfer the mixing bowl to a stand mixer and whip it on medium-high with the whisk attachment for 5-10 minutes until it reaches the stiff peak stage. While the meringue is beating, cut up the butter into tbsp sized pieces. 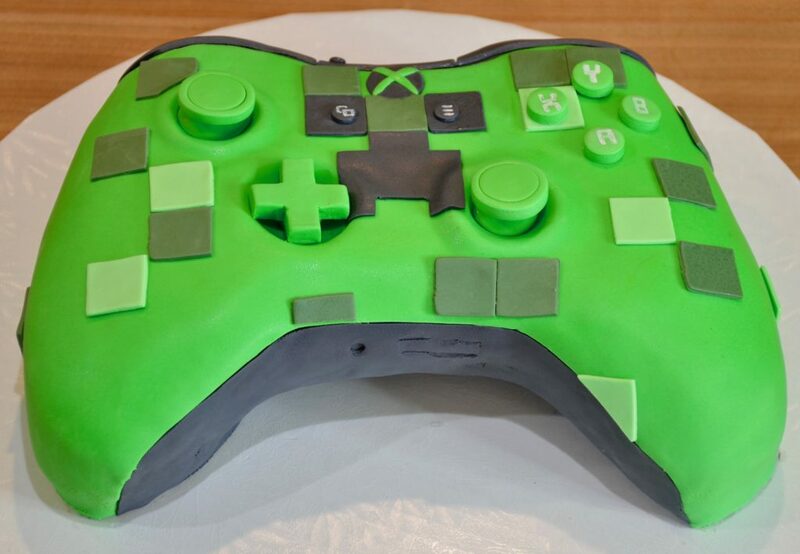 Switch to the paddle attachment, turn on low, and slowly add the butter and vanilla.